Whether you drive a Prius or an F-150, the way you drive makes a major impact on your fuel efficiency. Gas prices aren’t the highest that we’ve seen, but saving money at the pump is always a great feeling. Inflate your tires to the maximum recommended level. The less pressure in your tires, the greater the portion of your tire that contacts the road as you drive. The greater the part of your tire touching the road, the more work your engine has to do. Follow the speed limit. Speeding, accelerating, and braking hard can deplete efficiency by thirty-three percent. When on the highway, follow the speed limit. The EPA says that most cars run at maximum efficiency at sixty mph, and every five mph over sixty decreases efficiency by six percent. So on your next road trip, slow down. Don’t slam on your brakes. Obviously, there are some situations when you will have to slam on your brakes. In regular driving situations, coasting toward a stop sign or red light helps you conserve fuel. 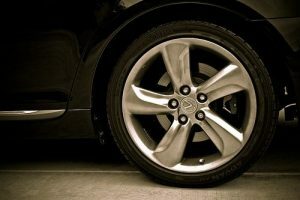 It’s not only a fuel efficient driving habit, it’s also easier on your tires and brakes, which helps you save on maintenance and repair costs. Avoid idling your vehicle. Idling wastes fuel and produces unnecessary greenhouse gases. Unless you are stopped in traffic, if you’re going to be stopped for more than thirty seconds, turn off the engine. Plan errands carefully. Reduce the miles you drive by running all your errands in one trip. Planning on working out tonight? Pack your workout clothes so that you can head to the gym right after work. Don’t make separate outings. A little bit of foresight will stretch your fuel economy. Watch what you pack. Avoid keep unnecessary items in your vehicle. Hauling cargo on your roof increases aerodynamic drag and lowers fuel economy. A large, roof-top cargo box can reduce fuel economy by around two-eight percent in city driving, six-seventeen percent on the highway, and ten-twenty-five percent at interstate speeds. Not only are these tips helpful when it comes to being more fuel-efficient, they will also help reduce greenhouse gas emissions and other pollutants while saving you money. Do you have any other tips that have worked for you? Let us know on Twitter and Facebook. Need an auto body professional? Call Great Plains Auto Body at 402.334.7100.